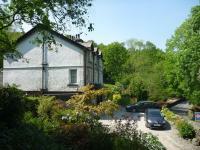 The Knoll Country House is located near Lakeside, Cumbria, England, six miles from Lake Windermere. Windermere town and Grange over Sands are both 17 miles away. Hotel Features. A late Victorian country house set in its own wooded grounds, The Knoll retains many original features including stained glass windows, fireplaces, and picture rails. Internet access is complimentary, and parking is provided. Named after the crystal-clear water of Mediterranean Sea, Crystal Luxury Sunset Resort & Spa has a seafront location and a private sandy beach. With its unique architecture, the resort offers outdoor pools, 12 water slides and a spa centre. 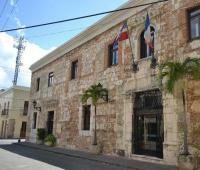 This magnificent 5-star Georgian townhouse boasts sumptuous rooms, each with a 42-inch plasma TV, DVD player, and slate bathroom. Amongst the cobbled streets of Edinburgh's New Town, it is 800 metres from Princes Street. The courthouse hotel is a 5 star hotel with flamboyant sophistication situated in the very centre of london opposite libertys and carnaby street. its design is drawn from its previous function with the odd quirky feature relating to its former use as the second oldest magistrates court in england. the 112 roomed grade 2 listed building has been renovated retaining many of its original features including impressive robert adams fireplaces. Overlooking Balluta Bay, Le Méridien St Julian's offers the charm of a boutique hotel and the facilities of a spa resort, including a heated indoor pool, free fitness centre, and spa. Rooms come with a balcony. Placed on Banderas Bay, this luxurious hotel offers contemporary Mexican architecture surrounded by the Sierra Madre Occidental mountains and the most beautiful beach in Puerto Vallarta. Fiesta Americana Puerto Vallarta features relaxing facilities. The Westbury Mayfair Hotel counts Versace, Tiffany's, Armani and Burberry as its exclusive Mayfair district neighbors in London, England. Bond Street shops are located one half block away, and the Oxford Circus Underground Station provides convenient transportation two blocks from this property. Hotel Features. The hotel lobby is designed with modern floral masterpieces and Gucci windows dressed with Swarovski crystal. The Sheraton Grand Hotel and Spa in Edinburgh nestles in the shadow of the city's historic castle and just a short walk from the exclusive shopping on Princes Street. The hotel is situated in the heart of Edinburgh, one of Europe's most cosmopolitan cities. 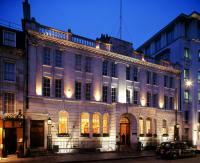 The hotel hosts a collection of outstanding restaurants and is home to one of Europe's most advanced city spas. The property also is adjacent to the International Convention Centre. These luxury 5-star suites in Edinburgh's West End are walking distance from the Scott Monument, EICC and the Scottish National Gallery of Modern Art. The quiet, elegant suites at Edinburgh Residence are a great hotel alternative.